- Material: thickened hard aluminum alloy. - The item's design concept comes from ABB palletizing robot, the same principle structure, range of motion is greater than other similar arms. 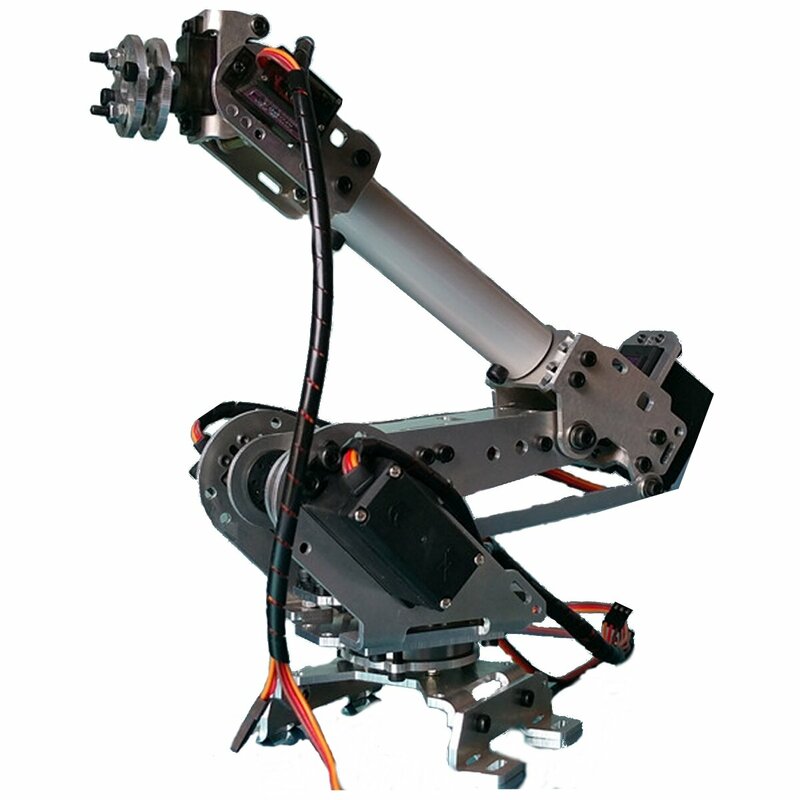 - The arm has four MG996R metal gear servos and two MG90S metal gear gear servos to ensure lasting power. - All the moving joints are using high quality bearings, better performance. 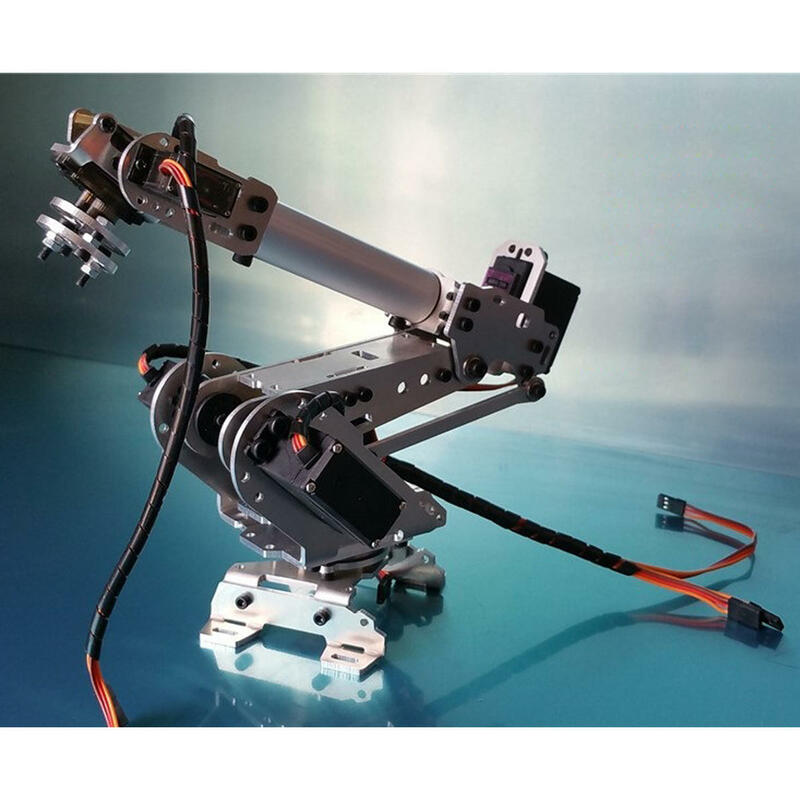 - The base of arm uses full-steel bearing, which make the arm more stable.